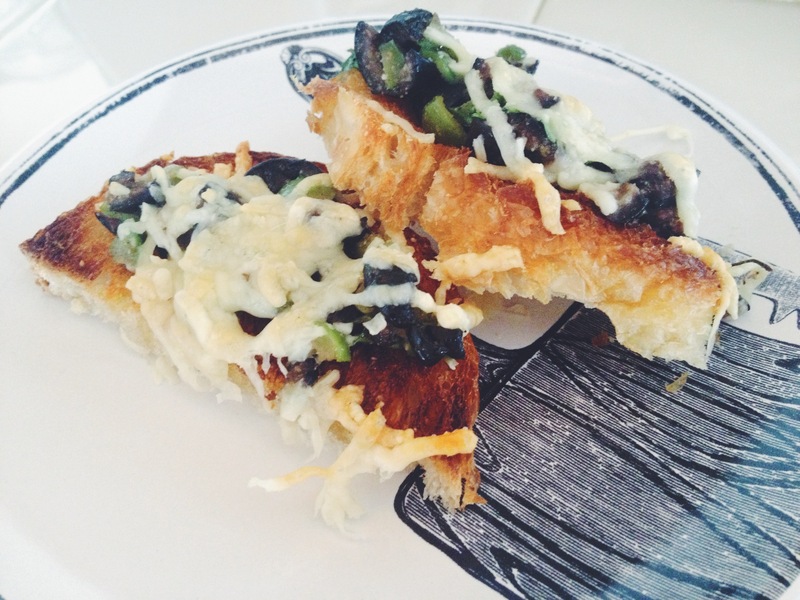 This week I made an olive tapenade, and what came forth was a richly flavored Olive Tapenade Bruschetta. It was delish! For all my young life, I used to hate green olives. HATE hate. Double hate. Loathe entirely. Mama would jokingly chase me through the house with a green olive in her hand, threatening to make me eat it. She’d chase me up the stairs, down the hall, both laughing our heads off, and me screaming like a school girl. I happened to BE a little school girl so it was all cool. We all got a good laugh out of it, but truly, I thought green olives were the worst thing ever known to mankind, that people actually ATE. 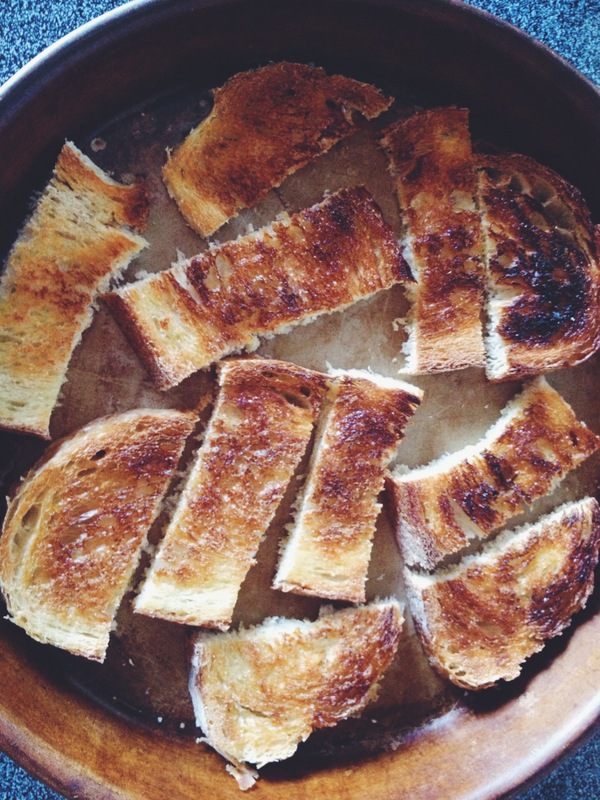 So anyway, to get your bread ready, slice the baguette and brush with olive oil. Broil in the oven for a couple minutes. Just til a little crispy. 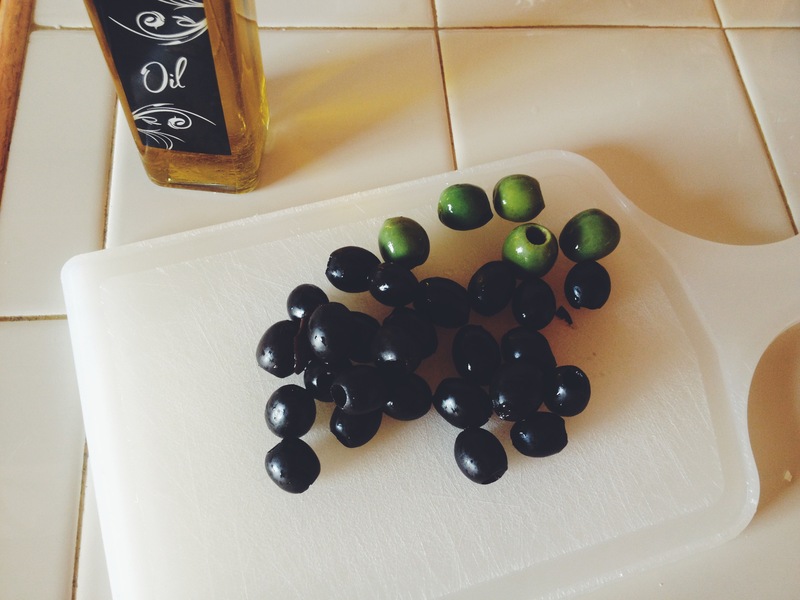 Meanwhile for the tapenade, chop up black and green olives. I recommend adding some greek in there too if you have them. I liked adding a pinch of chopped cilantro, but only if you really like that flavor. Put in a dash of crushed red pepper flakes if you have them. Adds a kick. Chop up the tapenade really small. Even smaller than my photos. It will stay on the bread better that way. 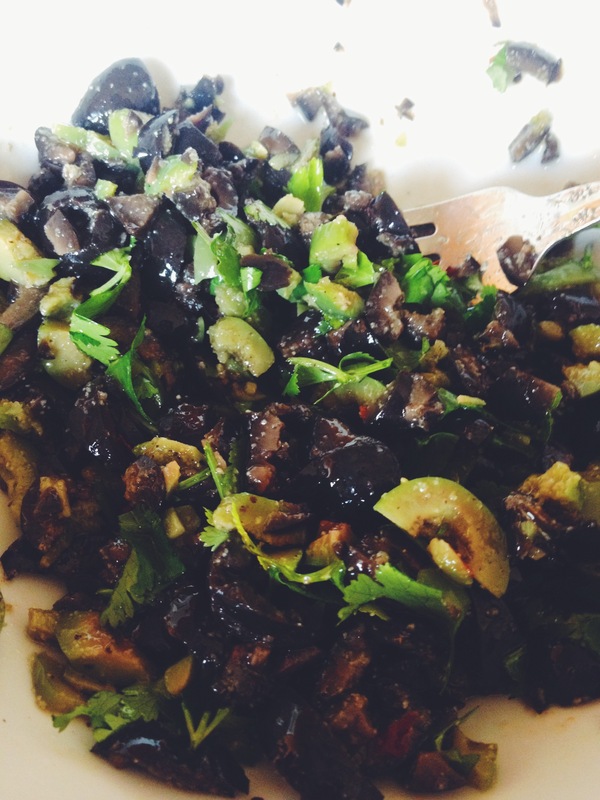 If you don’t have the time, you can just buy tapenade at the grocery store instead. Whatever you li. 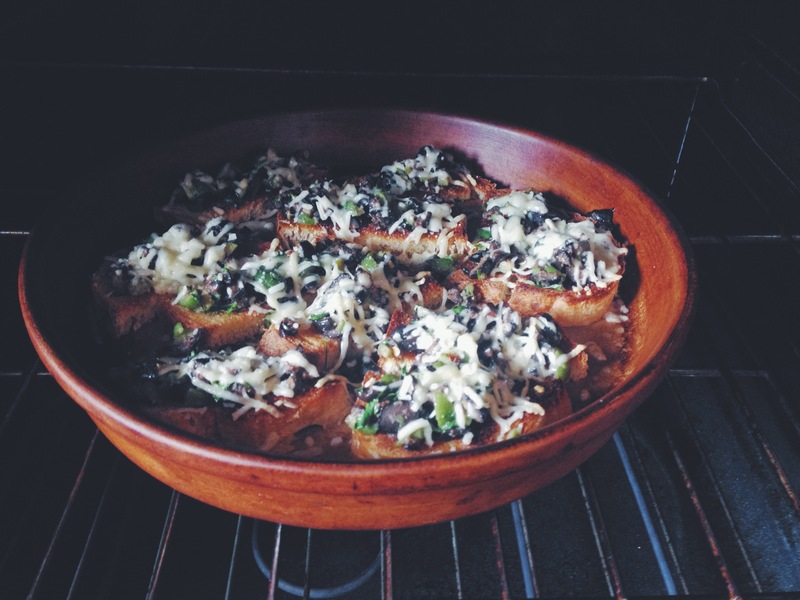 Place them back in your oven to broil until the cheese is browned. With the richness of flavor here, these go great with a glass of wine!